We recently attended the 2012 Northeast Rod & Custom Car Show in Oak, PA. The quality and variety of customs and hot rods was impressive, so we thought we’d share some with you. It’s great to get out and visit car shows whenever you can – there are great ideas for your own collection, and an opportunity to meet other and share your passion. Now that spring is underway, we hope to be visiting many more car shows in the upcoming months. We’ll keep you posted! For more on insuring your collector car or hot rod, visit Condon Skelly today. 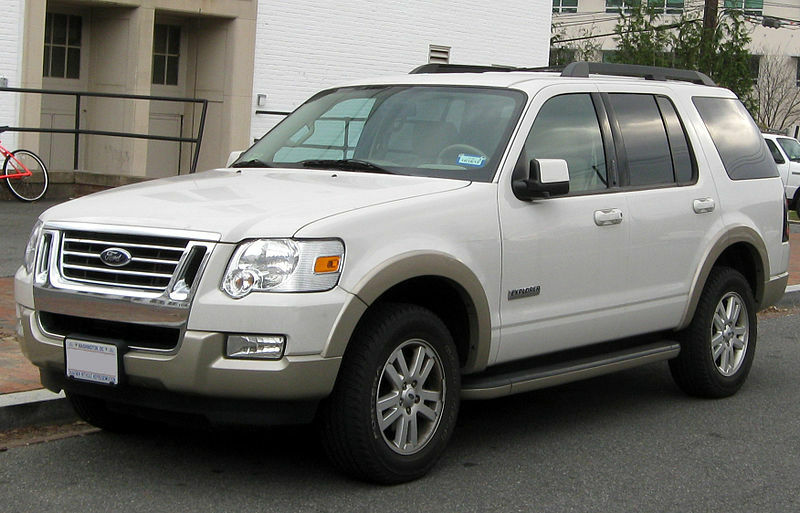 The 2010 Explorer was actually the last Ford to use the Cologne V6. What’s interesting about this engine? It was produced, in various iterations, continuously since 1968. With a displacement range from 1.8 to 4.0 liters, it fulfilled a diverse role in motivating Fords throughout the late 60s, the 70s, and the 80s. Early models were mostly European Fords (thus the plant in Cologne, Germany). But later models started making their way stateside, until the Cologne V6 powered every small truck Ford sold. The latter-day explorers are the first and only iteration of the Cologne (aside from the specialty Cosworth) to eschew pushrods in favor of single overhead cams. So even drivers buying SUVs just a few years ago were buying into a family of engines dating back over 40 years. An interesting notion about where we came from, and where we’re going. Do classic car insurance policies offer deductibles? – Yes. Usually there are a variety of deductible options. Because annual premiums are so low, many customers choose to have a zero deductible, but several different options are available. Is coverage available seasonally? – Definitely! At Condon Skelly we’re flexible to your changing needs. During the off-season when your classic vehicle isn’t being used, we’ll be happy to insure your vehicle for comprehensive coverage only. What are Condon Skelly’s garage requirements? – When you’re not out driving or showing you classic or antique vehicle, we require that you keep your pride and joy in a fully enclosed, locked garage. What is Agreed Value? – Agreed Value policies guarantee that in the event of a total loss – resulting from an accident, theft or anything else – you’ll receive your collectible vehicle’s full value. And you’ll know what that value is right when you file your claim, because it’s the value agreed upon when you set-up your policy. Horsepower, like many things, continues to grow with the times. Many want bigger, faster, cheaper. Technology and economies of scale are happy to oblige. In some ways, however, it’s remarkable that we’ve come this far, given the effects of the gas crises. The resulting fuel economy efforts devastated the market for power and performance. In the 80s, a typical Ford Mustang had between 88 and 140 horsepower – today’s equivalent of a compact or subcompact economy car. Despite the crises, and the need to clean up our act, the horsepower wars are raging now as much as ever before. Let’s take a look at what five decades will do. It’s nice to see that Detroit has returned to its old hallmark of affordable power for the people. There’s a vast array of European and Japanese cars over 376 bhp, but most of them cost two or three times what these cars cost. The ZL-1 was a rocket ship in its day, and just 5 years ago, none of these cars were around. This decade, however, has marked the return of American Muscle. Not only has the power returned, but fuel economy, engine efficiency, safety, handling, and build quality are all improved across the board in American cars. Truly an impressive feat, and a necessary one. At the current rate of development, even experts struggle to imagine what the next few decades will bring. For more on classic cars, American muscle cars, and collector car insurance, visit Condon Skelly. What makes this car interesting? I think we all know this week’s vehicle. It’s one of the best-selling trucks of all time – a household name for several decades. But hardly a collectible, one might say. Especially this model – produced through 2010. What makes this truck interesting, unusual, and in some ways a collectible car at heart? Check back next week to find out. As always, for more on collector car insurance and collectible cars, visit Condon Skelly today.